Numbered into the main Pop! 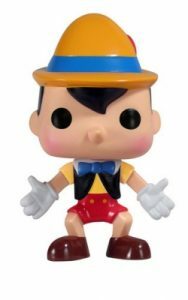 Disney line, Funko Pop Pinocchio features the wooden boy in his classic attire, including a yellow hat with a blue band and a barely visible red feather on the side. Of course, Pinocchio would not be complete without a blue bow tie over the vest covering his yellow shirt, and the red shorts showing off his wooden legs. 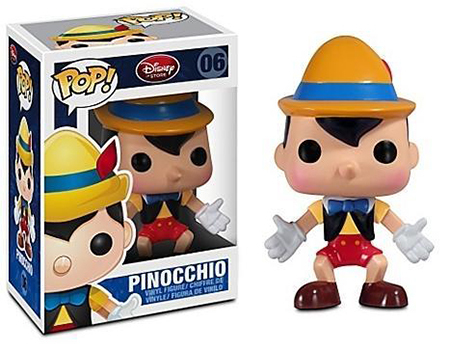 Shop for Funko Pinocchio Figures on Amazon. While he didn’t officially turn Pinocchio into an actual person, Jiminy Cricket was still a key factor in his development. Serving as the marionette’s conscience throughout the 1940 film, Jiminy quickly become one of Disney’s most recognizable characters. As a result, the stylized set includes the lime green Jiminy Cricket with a blue top hat. In addition, Jiminy wears a formal jacket with visible coat tails behind him while holding a closed umbrella. 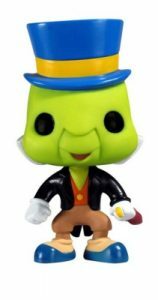 Fans wishing for more Pinocchio collectibles can find a Jiminy Cricket Dorbz figure in the Funko Specialty Series. Moving to cards, 2003 Upper Deck Disney Treasures gives collectors a chance at owning a piece of Disney history. 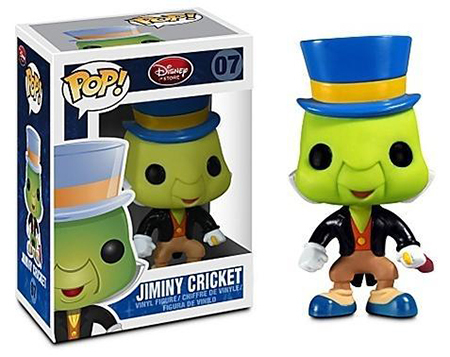 Funko POP Disney Jiminy Cricket Vinyl Figure. Ultra Rare and vaulted. No box.